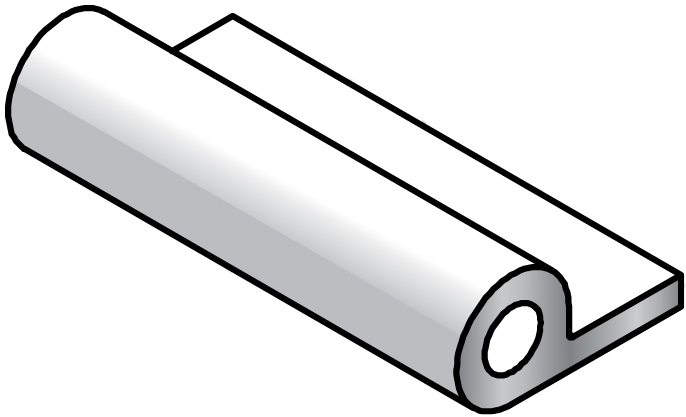 TechSIL EMI/RFI Shielding Conductive Elastomer Hollow “P” Extrusions are available in eight different sizes. They can be used in a groove to control the compression forces or can have either Conductive or non-Conductive Pressure Sensitive Adhesive applied for easy assembly. When using a non-Conductive Adhesive only 80% of the mating surface should have PSA applied. PSA can be applied to either side of the gasket so that it can be used in several different positions on your device. Hollow “P” extrusions can be bonded into Picture Frame gaskets using an RTV cold bond or a Hot Vulcanized bond. The Hollow “P” profiles offers a wide operating range and low compression force. Solid versions and additional sizes are available upon request.